The 50Ω cables are HF transmission coaxial cables for GSM antennas, and the 75Ω cables are HF transmission coaxial cables for cameras (type KX6), and video surveillance (type 11 RTC). The Halogen-free cables are suitable for laid on hooks, and pulled through walls or through technical ducts. Flexible Type (F)- solid copper coated aluminium (for 1/4″ , 3/8″ &1/2″ F conductor); red copper tube (for 7/8″ and 1'1/4 F conductor); corrugated red copper tube (for 1'5/8 F conductor). Super Flexible Type (SF) - solid copper coated aluminium (for 3/8″ & 1/2″ SFconductor); helical corrugated copper tube (for 7/8” SF conductor); copper wire (for 1/4″ SFconductor). Extra Flexible (XF) – copper wire (for 1/4" XF conductor); solid copper coated aluminium (for 3/8" XF conductor). solid red copper (for type 11 RTC) or red copper tube (for type KX6). Dielectric: Cellular PE or natural PE (only for KX6 type). 50Ω cables: corrugated copper tube. 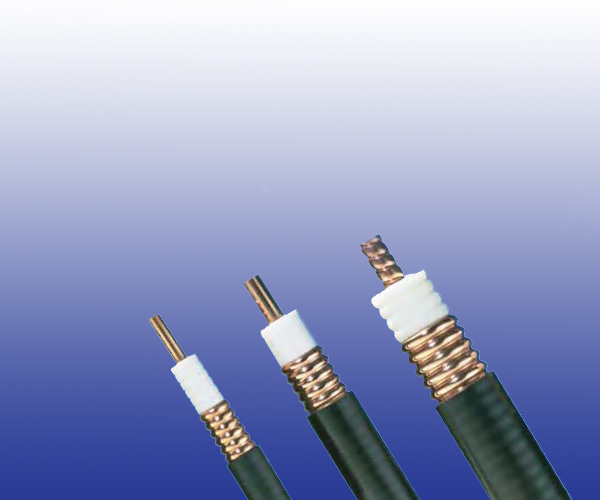 75Ω cables: -20℃ to +85℃ (during operation); -10℃ to +60℃ (during installation).